Mar 2, 2018 @ 01:55 PM — by Retina Associates, P.A. The doctors at our Kansas City, MO eye care center can diagnose and treat different retinal conditions. Early diagnosis and treatment can help prevent major vision loss years down the road, allowing you to enjoy what the world has to offer well into your golden years. People who suffer from diabetic retinopathy can potentially experience major vision loss if the condition is not properly addressed. A complication of diabetes, diabetic retinopathy involves damage to the blood vessels of the eye that affect the retina. Let’s consider some of the complications associated with condition and what can be done to prevent them. These vision quality issues may be more pronounced in people who have suffered from diabetes for many years. Early stages of diabetic retinopathy rarely have noticeable symptoms such as these. The symptoms can affect vision quality in one eye or both eyes. 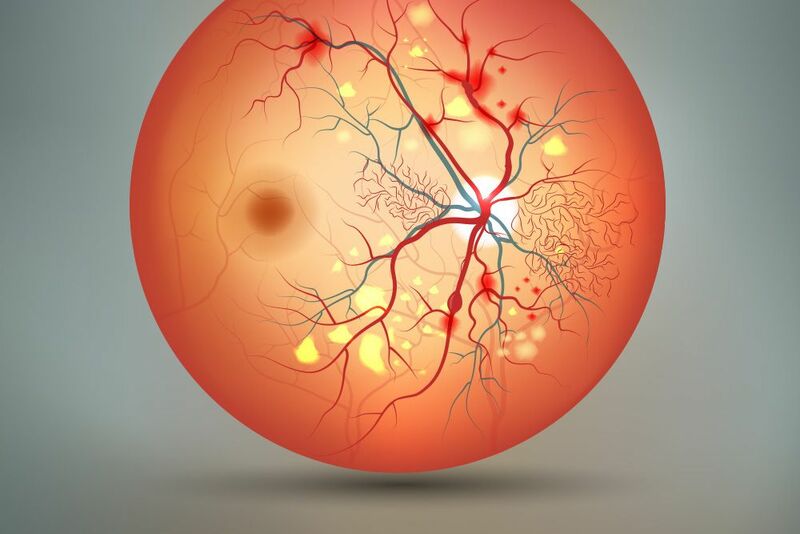 When a person suffers from diabetic retinopathy, tiny blood vessels in the eye may break and cause blood to mix with the vitreous gel in your eyes. The bleeding causes floaters to appear in your vision. A vitreous hemorrhage occurs when there is severe bleeding in your eyes. Rather the small floaters, a vitreous hemorrhage can block out vision in the affected eye. The condition can last from a few weeks to a few months depending on the severity of the bleeding. When the tiny blood vessels in the eye break, this causes scar tissue to form. Over time, this scar tissue can cause the retina to come loose from the back of the eye. This can lead to tears in the retina as well as retinal detachment. If not treated in a timely manner, retinal tears and detachment can lead to permanent vision loss. The new blood vessels that form in the eye can lead to problems with normal flow of fluid inside of the eye. There’s a risk of the pressure inside of the eye (intraocular pressure) increasing. Over time, the intraocular pressure can cause damage to the optic nerve. This heightened pressure within the eye is known as glaucoma, and it can lead to permanent and irreversible vision loss. One of the best ways to prevent these complications of diabetic retinopathy is to properly manage your diabetes. Do your best to take your insulin and any other medications as directed. Eating healthy and getting regular exercise can help with improving your total wellness. If you have diabetes and are at risk of developing diabetics retinopathy, be sure to undergo eye exams as recommended by your doctor. These routine checkups with an eye care specialist can help with early detection and treatment. For more information about treating diabetic retinopathy and preventing vision loss, we encourage you to contact our retinal specialists today. We will work with you to ensure you have clear vision and can prevent further complications with your diabetic retinopathy.